They say that the Architecture of a building should portray what the building stand for. 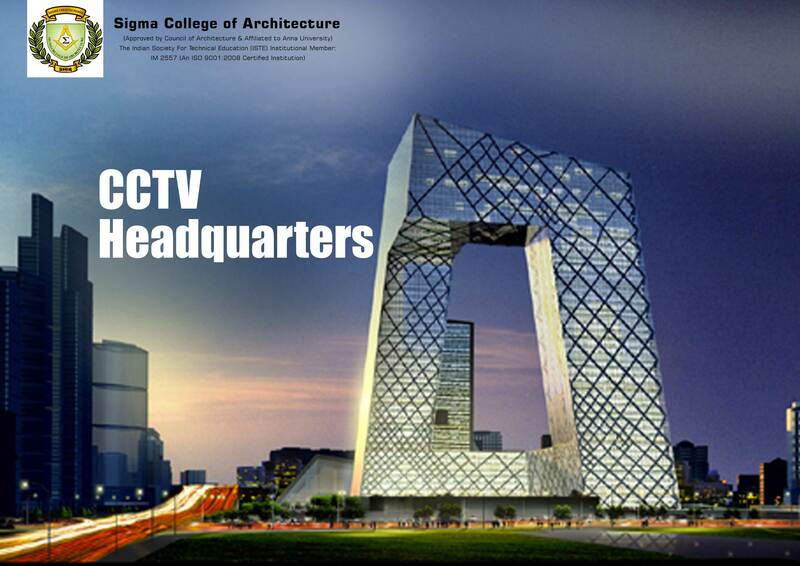 This sentence was literally taken to heart by China Central Television (CCTV) headquarters in Beijing when they deigned a mega structure where two towers lean towards each other and eventually merge in a perpendicular, 75- meter cantilever depicting to a closed circuit television. The project which started in 2002 was inaugurated by the President on January 1, 2008 although the project was only completed on May 2012. The project was designed by Ole Scheeren German Architect of studio Office for Metropolitan Architecture (OMA). This is the largest project of OMA and its first major building in China. Here at Sigma College of Architecture, one of the Top Architectural Colleges in South India we help our students broaden their horizons by educating them on more challenging projects.